The Sigma 85mm F1.4 Art lens was highly anticipated and with some of the first encounters with the lens, feedback has read that it is one of the sharpest 85mm lenses around. Some reports have said that it is comparable to the Sony FE 85mm f/1.4 GM and even one of the best performers in its class like the 85mm F1.4 Zeiss Otus. Bold words indeed, so let see if the lens measures up to the hype. 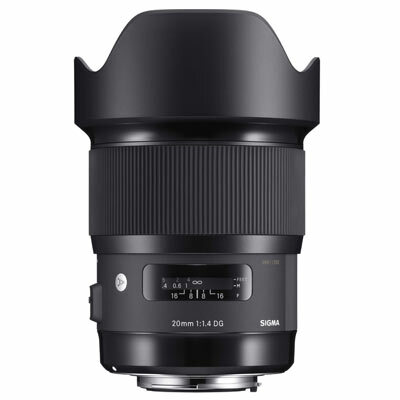 Being part of Sigma’s ART series, the lens already has its work cut out to be a top performer which it seems to cover very well from its basic specs. This is a prime lens and being f/1.4, it has a large front filter thread size of 86mm, looking huge on even the biggest DSLR bodies. 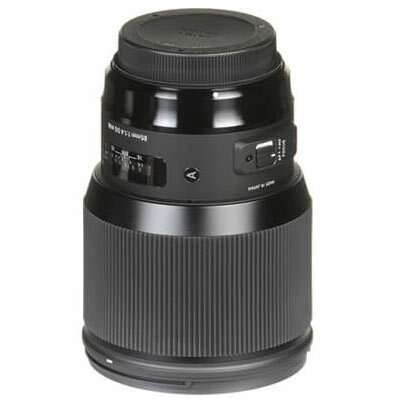 Sigma currently provides mounts for the Canon EF, Nikon (FX) and Sigma SA Bayonet. High-end lenses also seem to be following the fashion of looking simplistic in design and this is the case with the Sigma 85mm f/1.4 Art. The lens has a huge manual focusing ring, which is extremely smooth in operation, a distance scale and a switch on the side for auto and manual focus. The little ‘A’ symbol on the side of the lens lets everybody know you’ve got a top of the range product. Internally, the glass is made up of 14 elements in 12 groups, with 2 SLD glass elements and 1 Aspherical element. Nine diaphragm blades should give some pleasing bokeh results, finished off with Sigma’s Ring-type Hypersonic motor. As you would expect from an f/1.4 this isn’t a lightweight lens weighing in at 1131g. The aperture range goes from f/1.4 to f/16, with a minimum focusing distance of 0.85m. The lens also comes with its own hood as an added bonus. Autofocus is generally quite fast, only starting to hunt for focus when the light level drops considerably. One surprise is that the lens isn’t fully weather sealed, especially when competitors like the Sony FE 85mm have this feature, but at least the Sigma is a cheaper offering. One caveat to start with mentioned on a blog post is that when the Sigma is used on a Sony a7R II with the Metabones smart lens adapter, issues come up along the edges and corners due to an imperfect alignment with the sensor. If you’re planning on using the lens with any type of adapter, real-world testing will definitely be needed before purchase. The acid test with any f/1.4 lens is how sharp it is fully wide open. The lens is extremely sharp in the center when wide-open. Stopping down to f/4 is where the lens hits its sharpest in the center with only negligible softness in the corners, definitely ahead of its contemporaries. Bokeh, as you would expect, is creamy and smooth, the only downside that highlights really become their optimal at f/2 becoming more ball like and defined. When it comes to portraits, the Sigma has a very smooth transition between a subject and background blur. The lens seems to handle simple to complicated backgrounds very well, providing a very smooth transition between colors. When the lens is locked down to f/4, everything is super sharp with rich detail across the frame. However, that doesn’t mean that f/4 and above is the only working range. If you compare it to its contemporaries, it works equally well or better from wide-open onwards, which is really a testament to Sigma’s current optical qualities. The only real downside to the lens is aspects of Longitudinal chromatic aberration in very bright light. Wide open it can suffer from some purple and green fringing, but this more or less goes away when stopped down to f/2. The Sigma isn’t just useful on a full frame camera body, but also very useful on a camera with an APS-C sensor. The focal length will end up being 136mm, but it’s still well within the boundaries of use for portraits. The results on a crop sensors body work out to be the same with the same levels of sharpness wide open and ultimate sharpness when stopped down to f/4. The only real downside of using this lens on a smaller crop sensor body would be due to its size and weight tipping the scales. However, the ultimate image quality more than outweighs its mass. One of the Sigma’s closest rivals is the Sony FE 85mm f/1.4 GM. The Sony costs a lot more money, but the Sigma is ironically the sharper lens across the frame and through the aperture range. Both become their sharpest at f/4, but it’s the Sigma that looks the best into the corners and has the least amount of distortion. Measuring up the Sigma 85mm f/1.4 DG HSM Art against one of its closest competitors the Sony FE 85mm f/1.4 GM, the lens is definitely better when it comes to sharpness and overall quality. That’s saying something when the Sony costs far more money. This means if you are looking at overall performance and price, the Sigma is the one to choose. The Sigma is definitely a heavier and bulkier lens and the Sony has full weather sealing, which could play a large factor depending on your shooting conditions. So, if the weight of the Sigma doesn’t bother you at all, this is definitely one of the best 85mm f/1.4 lenses out there and considering its price compared to others, it most definitely is worth the money.